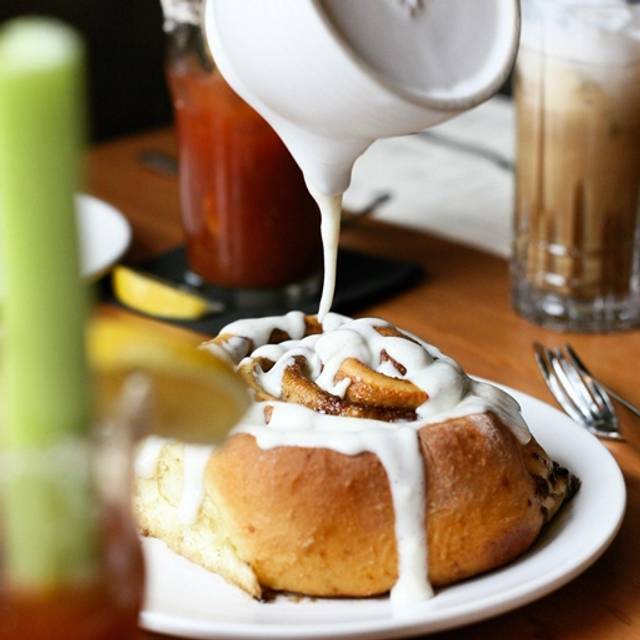 Scout showcases the finest local ingredients for breakfast, brunch, lunch, dinner, and happy hour. 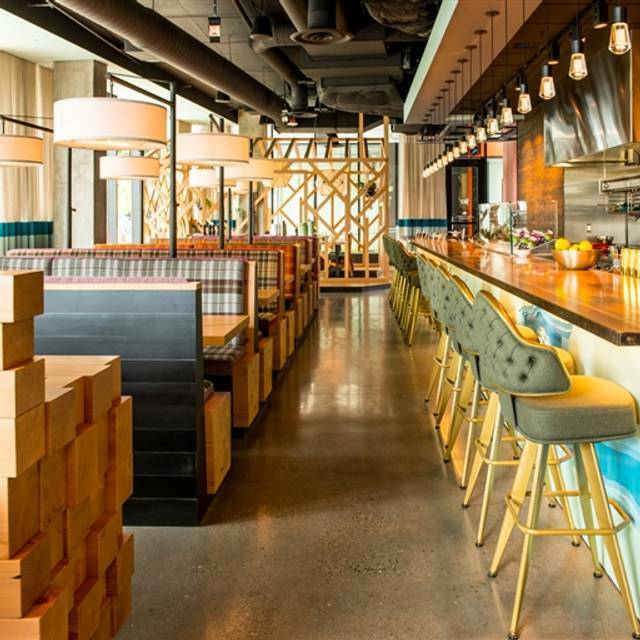 Helmed by Thompson Seattle Executive Chef Derek Simcik, Scout is a gathering space a stone’s throw from Seattle’s historic Pike Place Market. 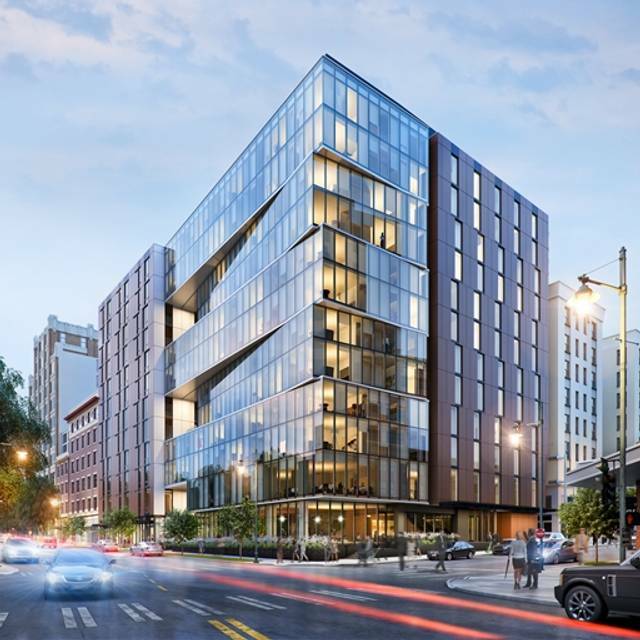 The menu changes seasonally and features the best of Washington and locally-sourced products such as shellfish from the Puget Sound, wild mushrooms foraged from the Cascade Mountains, and grass-fed beef from eastern Washington. Our plaid and Douglas Fir filled space celebrates the materiality and spirit of the Pacific Northwest and can accommodate large and small groups comfortably. Private dining in our cabin is available for groups of 10 to 20 people. Fall Forager Feast: Join us on Saturday, September 22nd for eight courses of freshly-foraged autumn delights with Thompson Seattle Executive Chef Derek Simcik and Executive Pastry Chef Kate Sigel, plus special guests chefs Brad Willits of Brooklyn’s Camperdown Elm and Shannon Martincic of Chicago’s Elizabeth Restaurant. Email scout@thompsonhotels.com to learn more or reserve your spot. Portions were very small. Wine very expensive, not really value for money. Staff were very nice and accommodating. Overall a very good experience and I will likely be back. I ordered the lunch menu item with potatoes and mushroom and although good, it wasn't highly memorable. I love fingerling potatoes and mushrooms and was therefore slightly disappointed. Waited an hour even after making a reservation (might just have been because it was NYE). The appetizers were amazing! Octopus with kale - to die for! Oysters with a beautiful light green sauce. And the cod was so good. They did a wonderful job of making the cod gluten-free for my husband, who has celiac disease, by changing out the couscous for black lentils. Wow! And the dessert as well - they separated the pumpkin mousse and caramel from the gluten parts in a very creative way. We stayed overnight at the Thompson and also had breakfast in the morning. Again they were great about making us a safe gluten-free breakfast that was tasty and wonderful. Dry aged steak is so good. A little pricey but overall is good. My husband and I took my parents and a neighbor here for Christmas Eve dinner. The restaurant was not decorated for the holidays at all. The room was overly brightly lit. We were a party of 5 and we were sat at a booth that could easily have accommodated 10 people. The service was friendly, although they never could seem to get the right plate to the right person. We ordered the "house made challah" but it was dry and crumbly. Three out of the five of us got the squash tartin appetizer. It was presented as a cold squash puree on top of a very thick slice of chewy bread. The frisee salad was tasty enough, but the cold gelatinous egg on top was off-putting. (I have only ever had this French-bistro stalwart with a warm egg on top). On the up side- the pork bourguignon and steak dishes were tasty. The desserts were creative. The cocktails were strong and generously poured. However, for a holiday dinner, and for $400 for 5 people, it was a disappointment. Loved the interior, the service & the food. The clam chowder was great as was the rest of our meal. Oh and the drinks were top notch. Great location! The apps are really small, and not worth the price. The steak was excellent. Drinks were also good. Hello Benjamin, We are so glad you chose us for your night out! 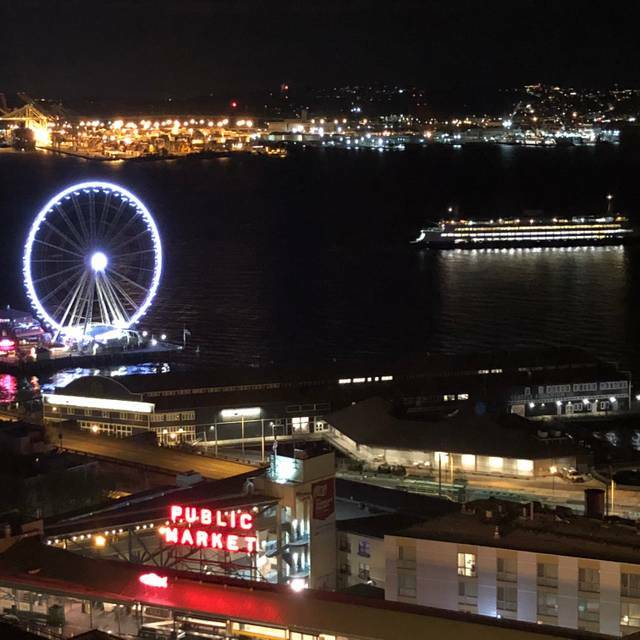 We understand you have many great options when dining out in Seattle and appreciate your choice. Your feedback is important to us and I will be passing it along. Thank you again for choosing Scout, and we hope to see you again soon! This is a gem tucked away by the Public Market. Excellent food and service with great ambiance. Look forward to returning soon! Hi Greg, Thank you for your great feedback! We appreciate your business and I will be passing your praise along to our staff. We hope you come see us again soon. I really wanted to love this restaurant! The food was terrible - a very strange mix and flavors that did not go together. Prime example - oysters with cucumber mignonette... it was so awful. The smoked tartrate was just ok but the redeeming dish was the clam chowder. My husband and I ordered a steak to share and it took forever to prepare and came out overcooked. We sent it back. They also included a 20% tip. The entire meal was $90 and they didn't charge us for the steak or the drinks we ordered so not sure why it was so expensive?? Needless to say, we would not recommend this restaurant and we will not be going back. Great space, exceptional service, everyone liked the food. We will definitely be back. Hello, We are so glad you enjoyed your experience with us at Scout! We appreciate your business and look forward to seeing you again soon. Embarrassingly bad experience for a restaurant attached to the very nice Thompson hotel. First, our server greeted us ~12 minutes after we sat down. Next, it took an additional ~25 minutes to receive our drink from the bar because "so sorry, the bartender is very busy" (yet the place wasn't packed or bustling). We actually felt sorry for our server. She apologized so many times throughout our evening that we came to believe that "I'm so sorry!" has become part of her nightly routine. I'm so sorry your experience at Scout was anything but perfect. We do strive to provide the best food, drink and service we can, and our guests experience is very important to us. I very much appreciate your feedback, and will be following up with staff on how we can improve and provide better service in the future. I haven’t eaten here except for thanksgiving but based on that experience I will never go back. The food was almost inedible and at $95.00 per head you would certainly expect better! We were told the incorrect time to arrive for the complimentary drink at the nest and had to wait for the entire evening seating to finish their drinks before we could sit at our table. Then we all ate at the same time which made the service very difficult on the staff and forget getting anything extra or even a bread basket upon request. We couldn’t find any sign of oyster in the oyster dressing. The trout was fishy and all of the food was bland, tasteless or generally unappealing. I understand that group type dinners may not go as smoothly as eating out at a restaurant regularly, but for $95 per head without drinks I wouldn’t expect horrible food and fair at best service after waiting for an extra hour due to the hostess being given the wrong information and no one informing us until we had been there for a half an hour. Thank you for taking the time to share your comments concerning your dining experience at Scout PNW. Excellent service and cuisine are what we would like to be known for; therefore your feedback is extremely important as it helps us to improve upon our services and provide a memorable experience to our valued guests. Our relationship with our guests is very important to us, and we hope you will contact us with any further feedback on how we can improve our service. Friendsgiving- we really liked the idea and concept of friendsgiving. Sitting at a communal table meeting new people great. A Prosecco to start the evening at the Nest was a great way to mix, mingle & meet people & the view alway pleases. There was much confusion as to the table arrangements- but I think a group of people wanted to sit together & alone.. throwing the seating arrangement out the window. Leaving to staff to scramble together a plan. Once seated the thanksgiving dinner was lovely. I really enjoyed the celery soup. They also served a trout, which was exceptional. The turkey was a disappointment as it was dry... the wine pairing was great ... in all it was a nice dinner. Great dinner, great service! It was my Birthday and I was treated very well. Thanks so much for a wonderful evening! Thank you for choosing Scout PNW. We know there are many excellent options and we truly appreciate your patronage. We are happy that you enjoyed your stay and our staff took excellent care of you on your birthday! I will be sure to pass on your note to our team. The menu is very limited and somewhat overpriced. There are no good vegetarian options. The best our waiter could offer was pasta which isn’t a desirable vegetarian option. The Squash Tartine was a thick slice of bread with a thin layer of whipped squash on top. There was no mention of bread being the predominant part of this menu item. Thank you for taking the time to share your comments concerning your dining experience at Scout PNW. Excellent service and cuisine are what we would like to be known for; therefore your feedback is extremely important as it helps us to improve upon our services and provide a memorable experience to our valued guests. Our relationship with our customers is of paramount important to us, and we hope you will allow us the pleasure of joining us again. Fantastic ranges on every course and an absolutely impeccable staff. We were astonished at the attention to detail and the autonomy that the restaurant seemed to operate with. Seamless service, fantastic fare with something appealing to all tastes; all showcasing the fresh ingredients of our region. I’m bringing all my friends next time! Thank you and compliments to the chef! 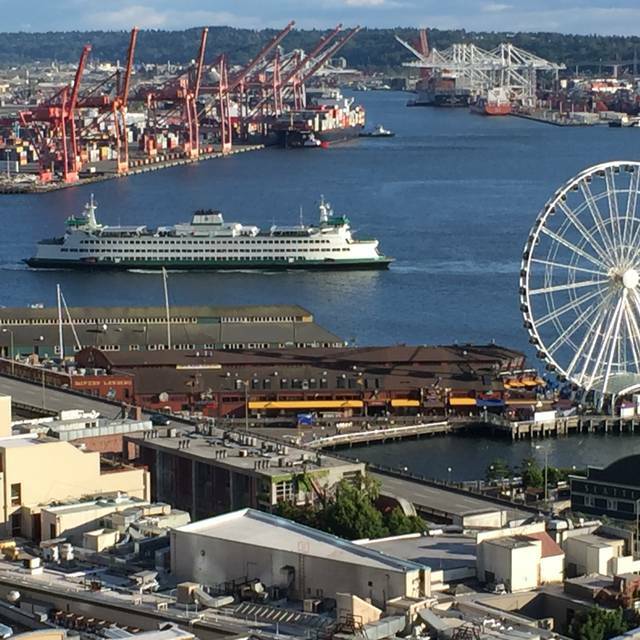 Thank you for choosing Scout PNW as the place to dine when visiting Seattle. We know there are many excellent options and we truly appreciate your patronage. We are delighted to hear that you enjoyed your dining experience, especially the food! We truly appreciate your kind words and I will be sure to pass on your comments to our team. Once again, thank you for sharing your feedback. We look forward to welcoming you back again soon! Birthday made special! Waiter poured bubbly (2 rounds) free of charge. The pork dish is the best on the menu. Thank you for choosing Scout PNW. We know there are many excellent options and we truly appreciate your patronage. We are happy that you enjoyed your stay and our staff took excellent care of you. I will be sure to pass on your note to our team. Had lunch. Service was super as was soup and dessert. Wine was ok. BLT sandwich was mediocre. Came for my birthday & they made sure it was special & memorable. Would recommend 10 out of 10! 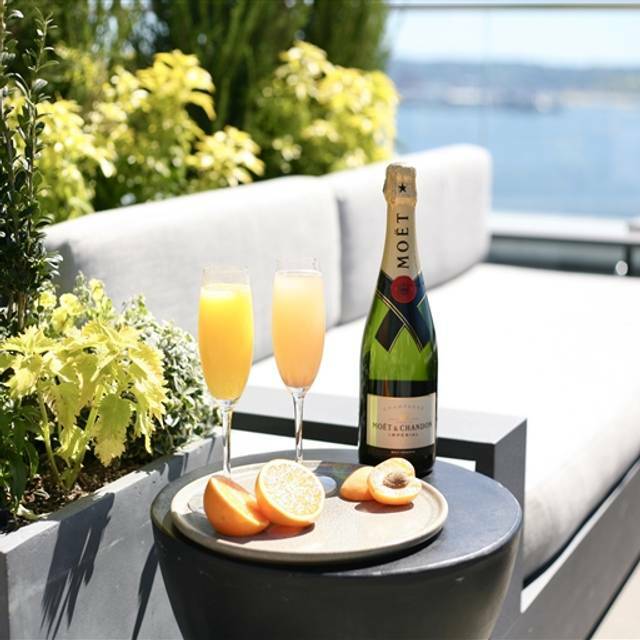 Thank you for choosing Scout PNW as the place to brunch in Seattle. We know there are many excellent options and we truly appreciate your patronage. We are delighted to hear that you enjoyed your dining experience, and all of the courtesies extended to you by our staff, especially on your birthday. We truly appreciate your kind words and I will be sure to pass on your comments to our team. Once again, thank you for sharing your feedback. We look forward to welcoming you back again soon! Delicious meal, and the small plates / large plates made sharing between the party fun and easy. Food was ok by not worth the price. Service was awesome. Ask for Julia- she was great! Thank you for choosing Scout PNW. We know there are many excellent options and we truly appreciate your patronage. We are delighted to hear that you enjoyed your dining experience, and all of the courtesies extended to you by our staff, especially Julia! (We think she is great, too!) We truly appreciate your kind words and I will be sure to pass on your comments to our team. Once again, thank you for sharing your feedback. We look forward to welcoming you back again soon! Went here for Seattle Restaurant Week and it was delicious. We had the cauliflower, shrimp salad, mushroom risotto, pork belly, chef’s cookies and sorbet. All of it was amazing. Thank you for choosing Scout PNW for Seattle Restaurant Week! We know there are many excellent options and we truly appreciate your patronage. We are delighted to hear that you enjoyed your dining experience, and all of the courtesies extended to you by our staff, especially the food. We truly appreciate your kind words and I will be sure to pass on your comments to our team. Once again, thank you for sharing your feedback. We look forward to welcoming you back again soon! Went for Seattle Restaurant Week. 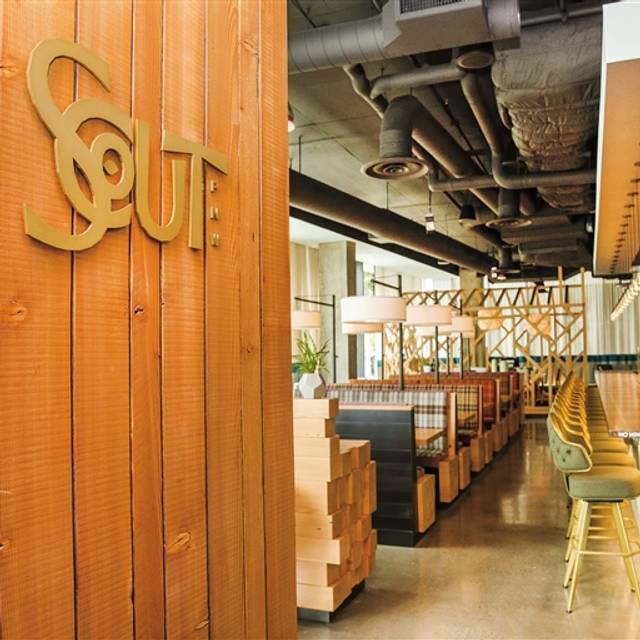 Scout is great for taking out of town guests because it has a great Pacific Northwest vibe. Service was great. 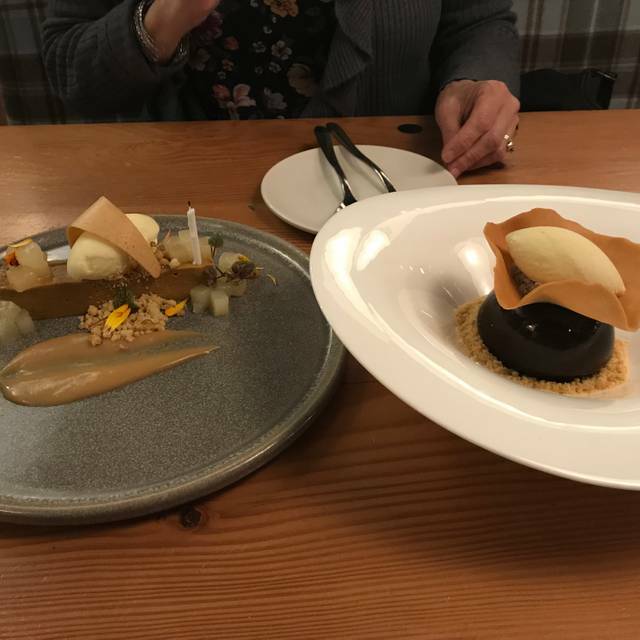 Some of the food was just okay, but the desserts were ALL awesome. Highly recommend the PB&J cake. Food was very disappointing. Everything was bland and underseasoned except for one dish that was way too salty. Clam chowder tasted like cream. It wasn't bad, but it was bland and one-dimensional. The clams themselves we're good--very fresh. The bitter greens salad was awful. There was a green puree on the plate that was flat and bitter. The chefs need to start tasting the food before it leaves the kitchen! The squash tartine was also incredibly bland. The plate looked good--it was very well presented--but the squash was flavorless. I couldn't force myself to finish it. The pork bourguingon was the most flavorful of the dishes I tried, but was way too salty. It was a bit of a shock after all the bland, underseasoned dishes that preceded it. It was so salty that I wasn't able to finish it. The service was good and the ambiance is nice, but I can't recommend it. Had a lovely lunch. The chick pea salad was delicious and loved the cookies and milk for dessert. Scout was disappointing. We first tried to go to Scout in the early afternoon (3P) for drinks and snacks. It was quiet and fairly empty. We asked if there was a table available - and we were told only front seating section was open. Didn't really answer our question - so we pointed to a specific front table and asked if we could sit there. We were seated and given a lounge/bar menu - and then sat, with no other follow up. So we got up and left. Second attempt was for dinner. We had a reservation and were seated way in back of restaurant (perhaps because we had our 11-year old son?). Tucked away - in a fairly empty restaurant. Not a great experience. Husband ordered salad (bacon vinaigrette was good) and steak tartare (which was salty). I had spaghetti with dungeness crab and uni (bland) and son had penne pasta with cheese sauce (best dish of the three). Dessert option for my son was pear sorbet or fresh baked cookie. He opted for cookie - which turned out to be a ginger cookie (not kid friendly - why not just chocolate chip or sugar cookie?). The wine we ordered was good but the markup was crazy! With all the great food options in Seattle, I would scout for another restaurant - skip this SCOUT. Great service by Julia . Great atmosphere and yummy food . Our server knew that my wife adores bleu cheese olives in her martini, and since they didn’t have any, he went in the back and stuffed the olives himself for her!! So thoughtful and sweet! Thank you! Our waiter asked to take our food order at the same time as our drink order. By telling her we were not ready quite yet we were apparently saying we would never be ready. We had to wave her down to order, wave her down to order another round of drinks, and wave her down twice to get the check. We watched the servers standing around talking with our first drink order that condensation had built up on everything. We won't be back. 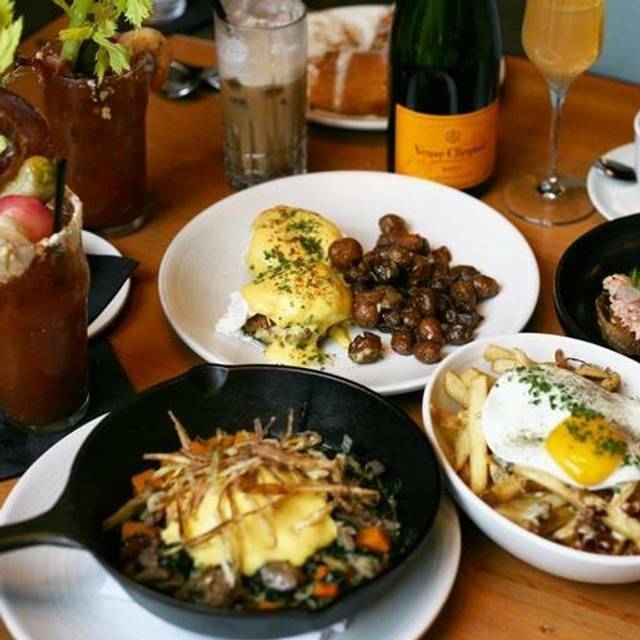 Seattle has too many great brunch places for this service. An afternoon on the rooftop bar followed by a great meal at Scout is hard to beat. We come out to Seattle once a year to host a meeting so this will now be on our rota every year. Very friendly, attentive and professional staff. Just ok when there are so many good restaurants to chose from in this area. The food was visually beautiful and tasted fantastic. Small plates were perfect for sharing. Desserts were unique and just the right amount of sweetness to end a meal. Large seating area for a group of four. The food was great, our food came late, but we were adequately compensated. The staff was professional, polite and even called us to confirm our reservation. Underwhelming. The black rice paella poor and the market price $ salmon was too firm, over seared. On the positive side, the grilled octopus was very nice as a starter. Servers seem inexperienced.